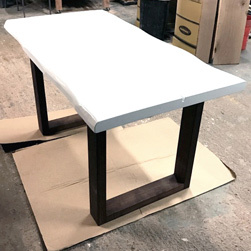 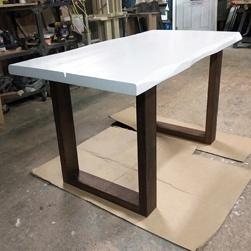 Charlotte - DT-90242_TL-80073 - White Table in Live Edge Shape with Natural American Walnut Base. 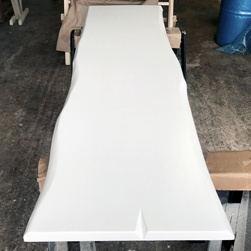 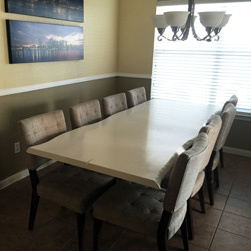 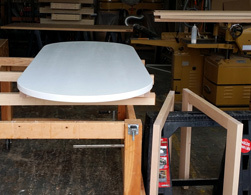 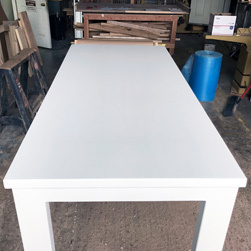 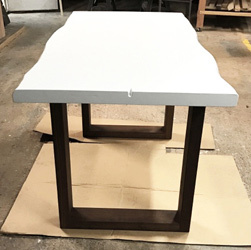 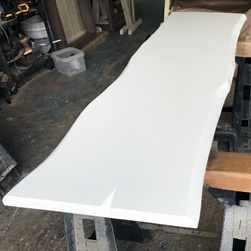 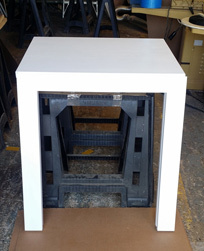 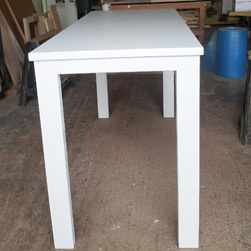 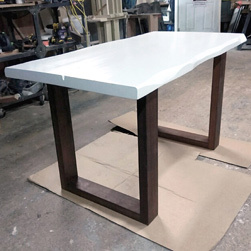 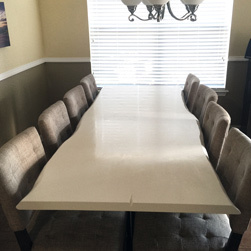 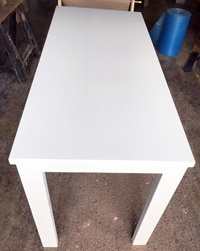 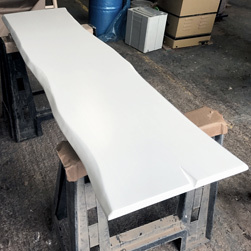 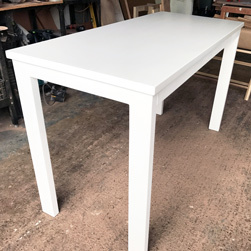 This semi-gloss white table is simple, yet has a classic look that never goes out of style. 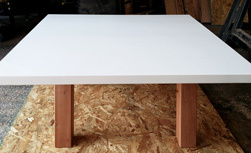 It is rectangular with a live edge, but can customized to your desired shape and size. 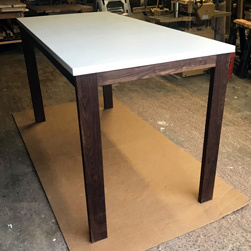 The live edge shape table top is made from solid poplar wood and the table legs are made from american walnut.